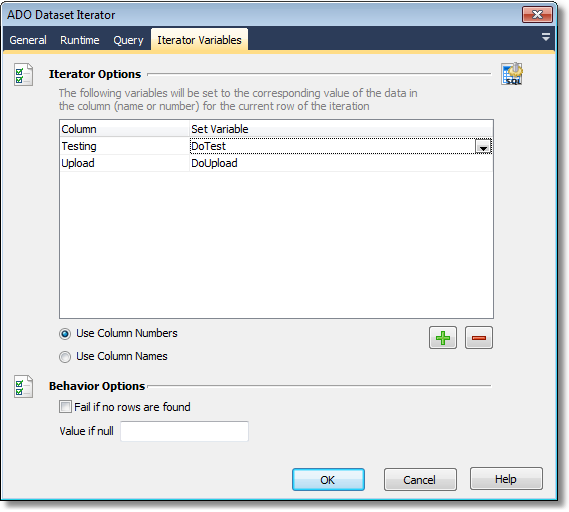 The ADO Dataset Iterator action allows you to perform a group of actions for each row returned from a SQL query on a database using ADO. For more information on Iterator style actions, see Iterators. 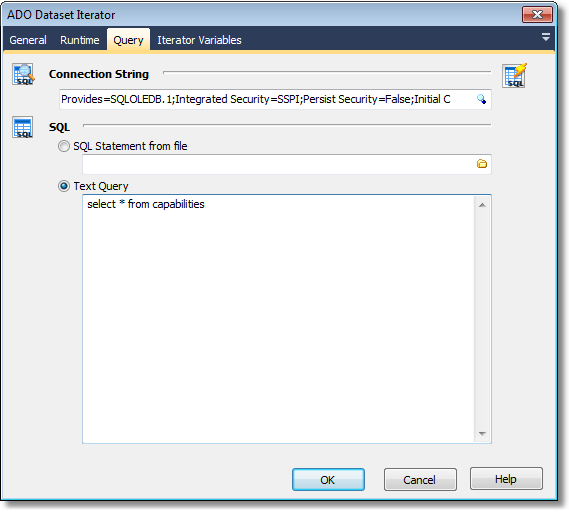 Connection String - specify a connection string to your ADO data source. You can use the built in connection string builder to create and test your connection string. Use the grid to set up which column values you want to put in variables for each iteration of the action. The above example shows that the Capability column and Version column values will be placed into the CapabilityName and VersionNum FinalBuilder variables. Use the Plus and Minus buttons to add and remove rows in the grid. Use Column Number / Use Column Names - the Action will either use the column index to find the value, or the column name.